Description: Central location! 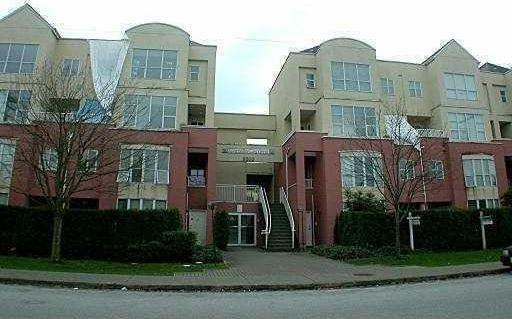 Well kept 2 level townhouse with spacious 1350 SF. 19 yrs well maintained complex, cornet unit, 2 bdrm and den (can be 3rd bdrm, 2.5 bath, insuite laundry, wood flooring, 2 secured parkings and rental allowed. Low maintenance fee $160. Close to park, school and No 3 Rd transits. Measurements are approximate.